While we know rodents are able to conquer the world in many ways, we are quite ignorant of their ability to adapt to the kind of niche that doesn't require a gnawing and a gnashing of molars and incisors. To find food, all a new species of rodent has to do is to locate, then bite. Jacob A. Esselstyn1, Anang Setiawan Achmadi and Kevin C. Rowe of Museum Zoologicum Bogoriense, Research Center for Biology, Cibinong, Indonesia, McMaster University, Canada and the Museum Victoria in Melbourne found this new species, Paucidentomys vermidax, and record it in Biology Letters today. 40% of all living mammals are rodents. They are much more important to ecology than people believe because of their seed dispersal and soil-moving roles in nature. When a bird evolves flightlessness or a whale loses its limbs however, we often find new resources available to that particular adaptation. 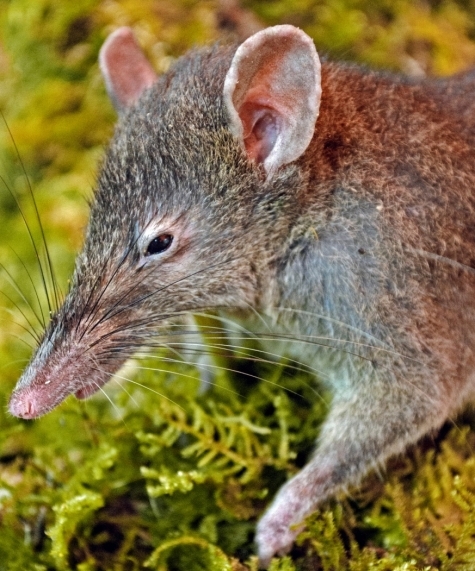 In Sulawesi (Indonesia) and Luzon in the Philippines, the shrew rats have independently of each other, evolved specialisms involving hunting invertebrate prey. Like real shrews, and almost parallel to them too, their "face" is adapted for this hunting. Long, thin and with long lower incisors they gnaw away at earthworms and other animals. Some have even reduced their molars, like the New Guinea moss-mice. These specimens were discovered in Sulawesi in mountain forests, feeding only on earthworms as far as could be discovered. It is similar but smaller than the genus Echiothrix, which lives on Luzon. Other shrew rats and true shrews will possibly compete with them but a further set of studies is needed to confirm that supposition. Chewing seems unnecessary for the animals as the segments of earthworm filling the gut seemed to prove. Nothing else had been eaten by this specimen. 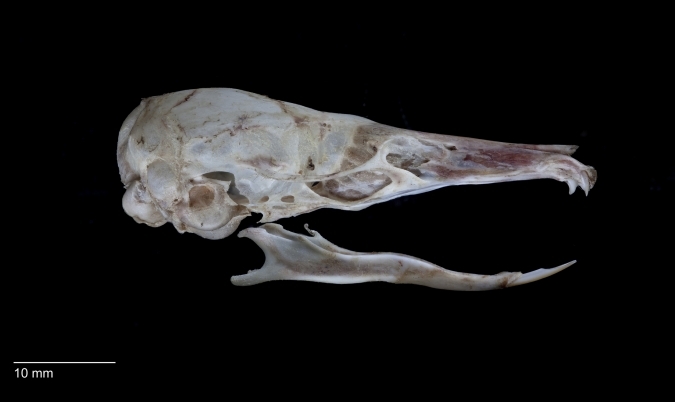 The elongated mouth must be used for catching food instead of functioning as the classic rodent processing plant (see skull above).